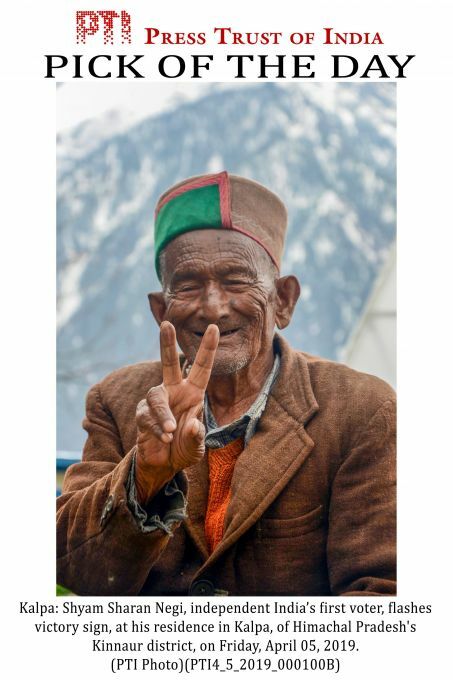 EDS PLS TAKE NOTE OF THIS PTI PICK OF THE DAY:::::::: Kalpa: Shyam Sharan Negi, independent India’s first voter, flashes victory sign, at his residence in Kalpa, of Himachal Pradesh's Kinnaur district, on Friday, April 05, 2019. 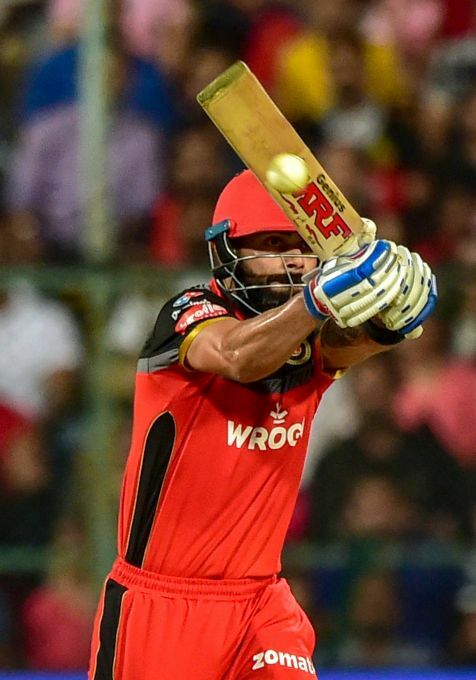 Bengaluru: RCB batsman Virat Kohli plays a shot during the Indian Premier League 2019 (IPL T20) cricket match between Royal Challengers Bangalore (RCB) and Kolkata Knight Riders (KKR) at Chinnaswamy Stadium in Bengaluru, Friday, April 5, 2019. 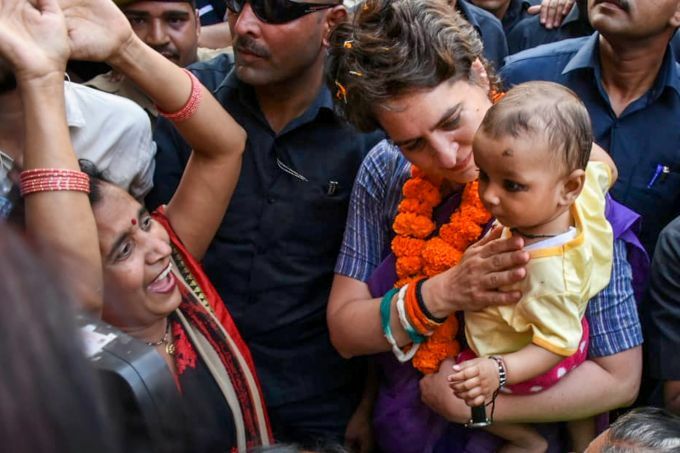 Ghaziabad: Priyanka Vadra holds a baby during a roadshow, ahead of the Lok Sabha polls, in Ghaziabad, Friday, April 05, 2019. 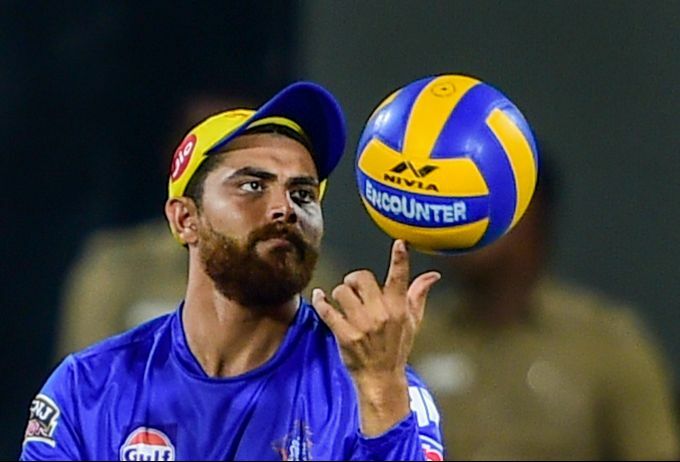 Chennai: CSK player Ravindra Jadeja during a training session ahead of the Indian Premier League 2019 (IPL T20) cricket match between Chennai Super Kings (CSK) and Kings XI Punjab at MAC Stadium in Chennai, Friday, April 5, 2019. 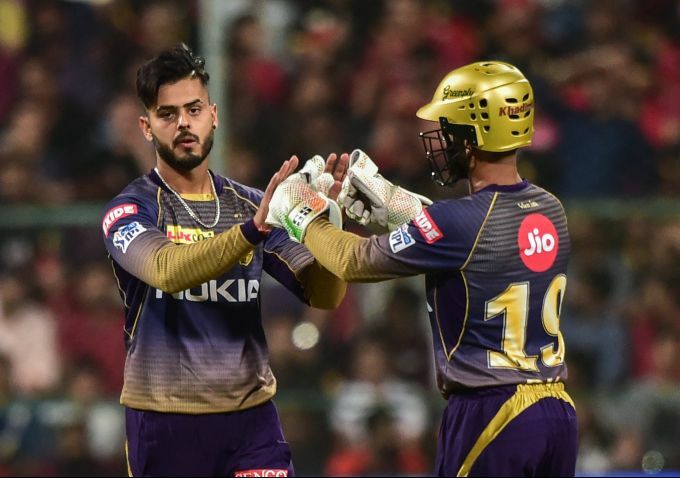 Bengaluru: Kolkata Knight Riders (KKR) bowler Nitish Rana celebrates with Dinesh Karthik after taking the wicket of Royal Challengers Bangalore (RCB) batsman Parthiv Patel during the Indian Premier League 2019 (IPL T20) cricket match between Royal Challengers Bangalore (RCB) and Kolkata Knight Riders (KKR) at Chinnaswamy Stadium in Bengaluru, friday, April 5, 2019. 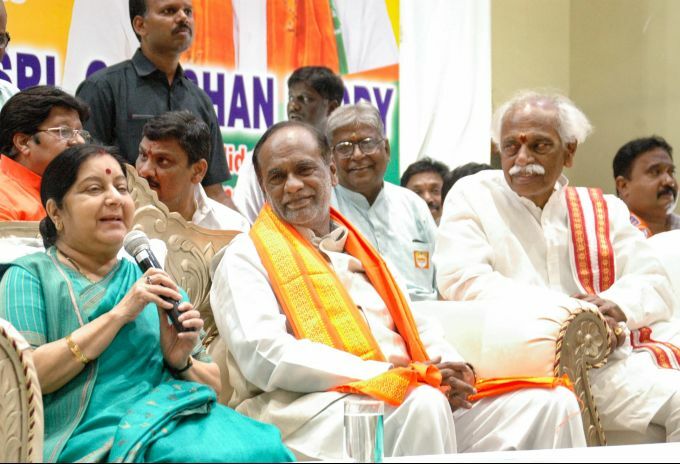 Secunderabad: Union Minister of External Affairs Sushma Swaraj, addresses a meeting of the linguistic minorities, in Secunderabad on Friday, April 05, 2019.